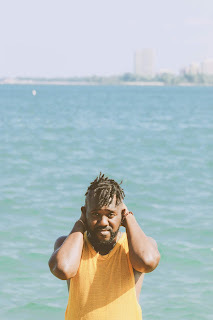 If It's Too Loud...: Mykele Deville - "Free Soul"
The latest track from Chicago's rapper, poet, educator, actor Mykele Deville's upcoming album is a throwback to a very specific period of late 90's hip hop. "Free Soul" combines the jazz inspired rap of Guru with the positive throwback vibes of Dilated Peoples and Jurassic 5. It's a fantastic song with looping horns throughout and the closest thing to an R&B chorus is the scatting in its place. The song is a tribute to Chicago but also calls out the clique mentality of the city's arts scene. I can't think of any other modern day rapper that has a diss track for his city's arts scene, but that is one of the reasons we love this song. You can watch the video for "Free Soul" below. Maintain, the new album from Mykele Deville, will be out February 22 on No Trend Records. You can pre-order a copy here. For more on Mykele Deville, check out his website.